The body and gestures play a primordial role in everyday activities. From a young age, people develop sensory and motor skills by interacting with the world. Over time, they accumulate experiences and enrich their abilities. Their body is transformed, allowing them to express, communicate and interact with the environment. New enabling technologies contribute to a deep understanding of this interaction, through the capturing of movement, modelling, machine learning and analysis, as well as the transmission of artistic or technical gestures. This week aims to bring together professionals concerned with gesture, such as scientists, artists, ergonomists, engineers etc. in order to discuss the potential synergies between art and industry. 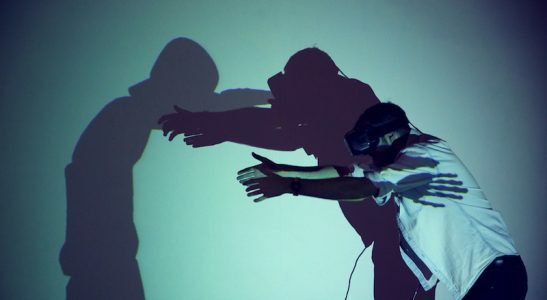 It is hoped to make it possible to identify the new uses of gesture capturing and “embodiment” in the process of creation, both from industrial and artistic perspectives. It should also be possible to develop perspectives and suggestions for long-term research around human gesture. Another main aim of the summer school is educational, since participants will have the chance to attend presentations and play an active role in what is taking place in the workshops through-out the five days of the summer school. which are organized in different European cities. “Co-creating computer-mediated interactions with machine learning” . In terms of sensors, during the Summer School GAIIA, the participants will have the chance to use gyroscopes, accelerometers, EMG sensors, depth cameras and develop projects with them. We will be using software such as MAX/MSP and Unity, as well as methodologies that are used in the market and the industries and have to do mostly with Machine Learning, like Hidden Markov models and dynamic time wrapping. The Summer School will be suitable for Bachelor, Master and PhD students, researchers, professionals from a range of fields, including AI, IT, arts, engineering, industry, business innovation, entrepreneurship etc. Although the programme will include technical and artistic content, no pre-requirements are needed beyond a background in computer science.